This reading style also creates difficulty for a Dyslexic person’s ability to comprehend and remember what they have read because all their attention is directed to decoding the words they are reading and not automatically recognizing them. This is due to their issue memorizing the correct letter order of words. When many people read the text in blue below they will notice that they feel tired and confused about what they read. This is caused by their excessive effort to decode the words. Their brain can read them but is slowed down by the additional work to identify the words. 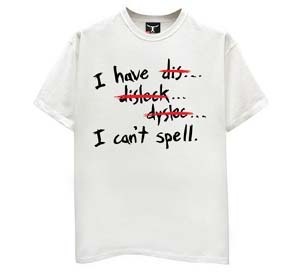 Another problem for Dyslexics is difficulty seeing words in their minds. They primarily see images or pictures, not necessarily words. By teaching a Dyslexic how to see the words in their minds and the correct order of the letters besides the first and last letter, their reading fluency improves a lot! If I ask you to picture the word “car” in your mind, what do you see? Most people see a car first and then the word if I ask them to think of the letters. Some see the word first and then the car. Right-brained or Dyslexic people tend to see the car and struggle to see the word, if they can at all. So think about it; if you can’t see the word in your mind how do you learn to spell and read? This is actually very easy to do if the Dyslexic is taught to see words in their minds. We are always able to get a Dyslexic child to do this task quickly and easily in an assessment. This becomes an important step for remembering and seeing words and letters in their minds in our teaching process. I love this exercise because the child instantly gets a boost to their self-esteem. By the way, what colour is your car or cars in your mind? Most people say red. Let me know the colour of your car! I would like to know the psychological or physiological reason behind this. Does anyone know? <strong>”</strong><strong>Only great minds can read this This is weird, but interesting!</strong><strong>…” </strong> is an amusing email attachment you will find at the end of this blog that makes the rounds on the internet – but for Dyslexics – this is how they learn words. They recognize the shape and letters of the word; not necessarily the order of the letters except as they say in the blurb below, the first and last letter of the word. Dyslexics tend to rely on this method for reading and this can cause them to read words incorrectly because they are trying to recognize the “look” of the word. This entry was posted in ADD/ADHD, Being Right-brained, Being Right-Brained in Workplace, Blogroll, Dyslexia, Dyslexia in the Workplace, Dyslexics Reading, Education, Special Education, Uncategorized and tagged Dyslexia, Dyslexia is a strength, dyslexic being tutored, Dyslexic students don't understand numbers, dyslexics are right-brained, dyslexics don't see words in their minds, Dyslexics reading, how dyslexics learn, How dyslexics see letters. Bookmark the permalink.